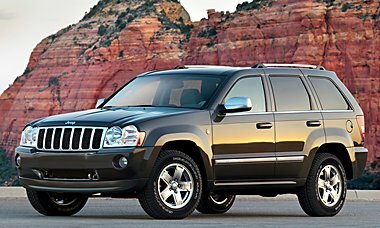 We can help you search for all types of used grand cherokee parts. Just check out our site to help you find all the jeep grand cherokee parts you need. We've got differnt kinds of used grand cherokee parts from the early 90s all the way to the present. Locate any kind of jeep grand cherokee parts you are searching for through our part requester. Our truck part dealers nationwide have lots of grand cherokee parts for your jeep grand cherokee from grand cherokee transmissions and engines to jeep grand cherokee headlights and bumpers and everything in between. To find the grand cherokee parts you are looking for please select your year and make on the form above and click next step. Please also check out our parts page for Used Wrangler Parts.